With a new PSP in the market you may be wondering which of the current models is a better option, hence a head-to-head: PSP-3000 vs PSP Go. Now, the question on everyone’s mind: Which of the current PSP models is better? 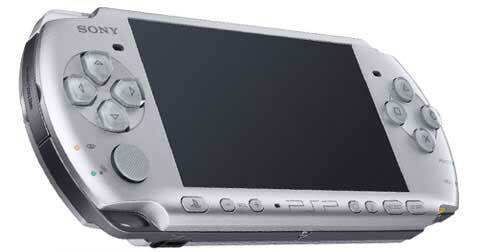 Even with the release of the PSP Go, Sony has admitted that it won’t stop sales (nor production) of the the PSP-3000. As with the earlier Head to Head post, this is meant to help you decide which new model is worth picking up and which one isn’t. Sure, both device has merits but only one deserves your money right? The PSP-3000 looks 90% similar to the PSP-2000 or the Slim. More info about the PSP-3000 can be found here. More info about the PSP Go can be found here. The short list of features listed above shows that the PSP Go is technically superior to the PSP-3000. It uses very same screen as the PSP-3000 which has double the color gamut, about five times the contrast ratio of older PSP models and has bluetooth support. Of course this superiority comes with quite a number of tradeoffs that can be the deal breaker for some. First off, the PSP Go does not have a user replaceable battery, the one it uses is soldered in. While you might expect that with a much smaller components, that that PSP Go would outlast the PSP-3000 in terms of battery life, it turns out that they’re quite even. Sony shrunk the PSP Go‘s battery to fit the smaller casing thus negating any advantage that the new unit has. A bad decision on Sony’s part IMO :(. As for games distribution, the PSP-3000 supports both UMD and digital distribution content while the PSP Go (obviously) can only use digital copies. If you already own a PSP and have some UMD games that you want to convert to digital format for the PSP Go, you’re out of luck as Sony has explicit said that there would be no conversion program for existing games. If you really wanted to play your current games on the PSP Go, you need to buy them again, this time from the PSN Store. Now for the price. The PSP-3000 can be acquired for about $150 (Php 7,500.00 approx), the PSP Go on the other hand can be had for $250 $199 (Php 9,00.00 approx). Upfront the PSP Go is much more expensive but you do get 16GB of storage. If you add a suitable Class 6 and up memory stick to your PSP-3000, the PSP Go will be a whole lot cheaper. Which will you guys go for? 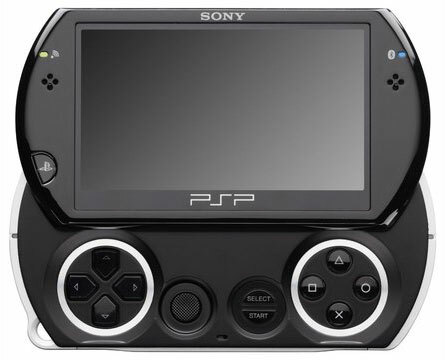 The PSP-3000 or the PSP Go? Both PSP-3000 and the PSP Go can be hacked so you can avail of free PSP games. Check the side bar for more information on this. Hey, Ive heard from people that the digital games are NOT cheaper than the UMD games (although they should be). Anyway, I feel the most negative things about the PSP Go is the price point and the inability to run any UMD games you own. I guess Sony is marketing it towards new customers or people who havnt upgraded from the fat PSP. As a PSP 2000 owner, I see absolutely no reason to even think of buying a Go. Although I don’t own a PSP.. yet. (hihihi) I think I don’t want a slide feature for my game pad. ALL PSP models have wifi. How noticeable is the screen size difference? The rest (battery, Bluetooth, weight, no UMD etc.) is not significant. – How significant is that CPU is faster? And the same for the memory? – Which is the more comfortable to handle: side controls or bottom controls under the sliding screen? CPU is actually clocked to 233Mhz and with CFW, older PSP models can be overclocked to 333Mhz. As for your questions, not by much. It’s still the very same processor, just a different board. Same goes for memory. For comfort, people who have bought a Go usually have a hard time conforming to it’s controls :(. If you’re looking at battery life, both models have nearly the same (Sony attached a smaller battery to the Go). If you had the choice though, I’d recommend a PSP-3000 with custom firmware. Umm if i buy a psp 3000 right now in the us will it be in version 6.20?